iPhone XS Max is the second best camera phone in the world - but what's number one? New camera test results are in and Apple is close but doesn't quite have the best camera phone on the market right now. 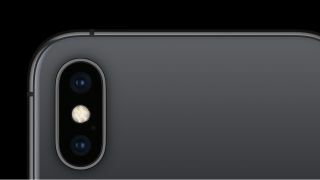 What a week it has been for Apple and its iPhone XS camera - but at least it is ending it all on a high with reports that it is nearly but not quite the best camera phone in the world. First there were reports of iPhone XS camera problems, with the phone facing issues with the over beatification of selfie shots and now test results prove that, despite apparent issues, its optics are pretty damn decent for a phone. Industry standard imaging benchmark DxOMark has given the iPhone XS Max camera a high score of 105, which means that despite there being not much change in the look and feel of the phone, its camera technology has been given a significant upgrade. On the same test, the iPhone X scored 97. It is yet to post its iPhone X camera review but as it's the exact same specs, the tests results are predicted to be the same. DxOMark noted: "The camera’s highlight is its outstanding video quality in bright light. Footage recorded outdoors on a bright day shows a very wide dynamic range, vivid colors, and high levels of detail. "In addition, a very effective image stabilization system keeps camera shake to a minimum, making the new iPhone an enticing option for any mobile video shooter." It also thought that the iPhone XS range "comes with one of the best mobile cameras we have ever tested... Both still and video image quality in bright light are excellent, with a very wide dynamic range and good detail. Autofocus and image stabilization work swiftly and efficiently, and the camera is very reliable overall, consistently delivering good results." Smartphone camera tech is moving fast, of course, and with multi-lens camera arrays gaining ground in phones like the Nokia PureView 9, things can change practically overnight. There is a 'but' in DxOMark's testing and that is around the camera's zooming capabilities. "While zoom has been slightly improved compared to last year’s iPhone X, iPhone XS Max zoom images show coarse luminance noise and less detail than some high-end rivals, such as the Huawei P20 Pro and the Samsung Galaxy Note 9," explains the test. And that brings us to the number one camera phone in the world right now. That accolade goes to the Huawei P20 Pro, with 109 points. We were certainly impressed in our Huawei P20 camera review. It is also looking very promising for the, as yet unannounced, Huawei Mate 20 Pro as early tests for this phone put it in the number one slot with a huge 116 points.